Home Tampa Bay Buccaneers A must-win, was won! I’m not even sure where, to begin with, this one. Honestly, it felt more like a preseason game than an actual Bucs-Panthers regular season game with huge significance. Like I wrote last week, the loser of this game, their season would essentially be over. Luckily for the Bucs, this will not apply to them. 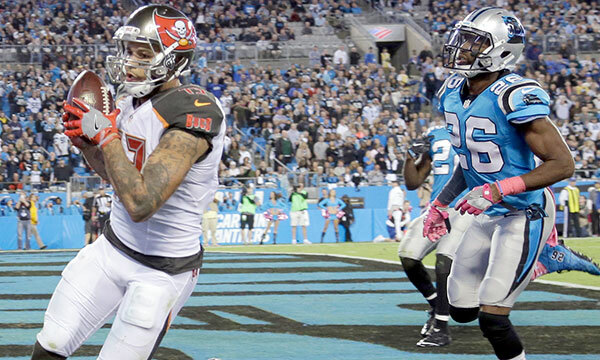 The Bucs have possibly salvaged their season with a UGLY, but satisfying win, none the less. It was a much-needed win at a crucial point in the season. It would be a long two weeks if Tampa had gone into the Bye-Week with a depressing 1-4 record. Newton, and the entire offensive backfield was deprived of starters. The Panther’s secondary was also depleted of any big time players, or much, if any, that had comparable experience. The result was an incredibly ugly, and somewhat boring, Monday Night showdown. I would just love to see the ratings this snoozer achieved. 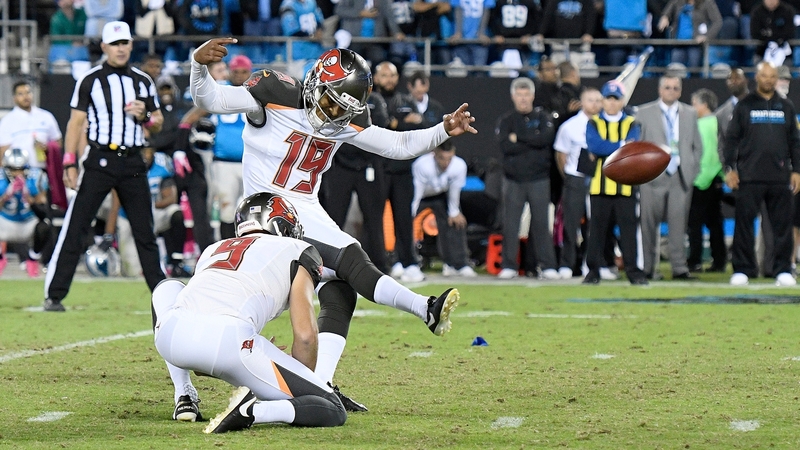 Even uglier was the fact that Mr. “Automatic” himself, Roberto Aguayo, continued to struggle. He Missed two more field goal attempts. Dumb penalties, by both teams, subsequently led to scoring drives. Now for the beautiful part of last night’s game: BUCS WIN, BUCS WIN!! Solid play from the backup defensive players, they showed up and played their behinds off. 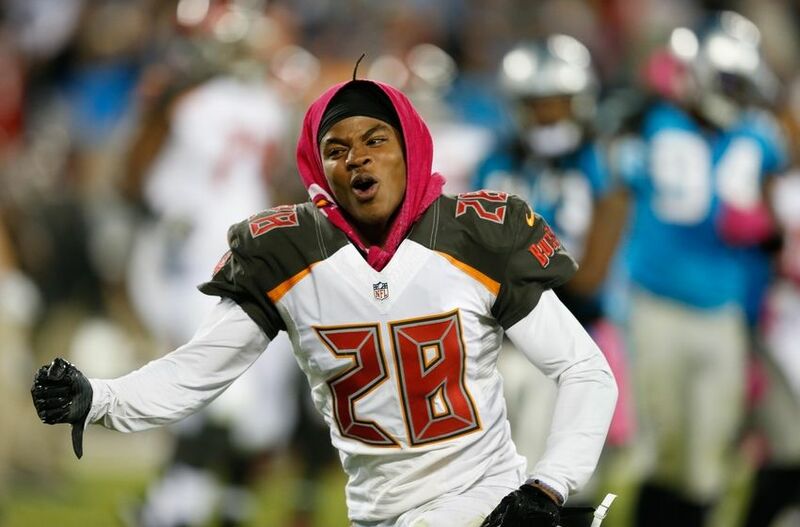 Vernon Hargreaves did an excellent job against the very talented, Kelvin Benjamin. The secondary, as a whole, had a pretty solid performance in keeping the wide receivers at bay, for the most part. However, they struggled against the Panthers veteran tight end, Greg Olsen, who was kept out of the end zone but managed to put up over 180 yards, on receptions. That is something that needs to be worked towards being corrected. However, as a whole, the defense bent but did not break. If that fact alone does nothing else, at least it helps boost overall morale throughout the team and shows that Tampa has a little more talent in the depth chart, than previously suspected by fans. 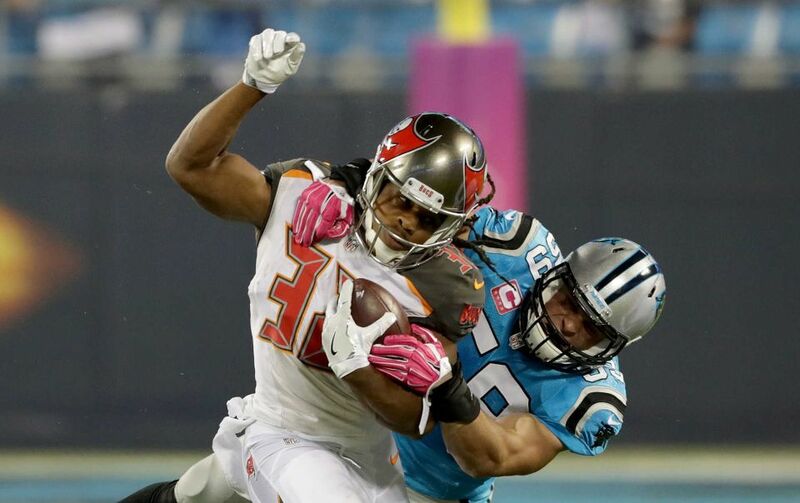 Solid run blocking by the Tampa offensive line allowed Jacquizz Rodgers to gain over 125 yards on the ground against a fairly strong Panthers defensive line and linebacker core. The Bye-Week could not come at a better time, as a beat up Buccaneers team needs the break to recover and to allow some of our injured stars the extra time to recuperate. Hopefully, the Bye-Week will allow our much-needed starters to return so we implement our attack plan against the rest of the NFL, as our season is not lost yet. Heck, considering the circumstances, we are in a surprisingly good position, being 2-0 in the division and looking forward to competing for a playoff birth. It feels good to finally win a game because it once again places our hopes in a high standing! Let’s keep building! Let’s continue to win! Jacquies Smith – Most Underrated Player on Defense? Buccaneers take on Redskins in preseason finale. Previous articleRodgers shines on the big stage.